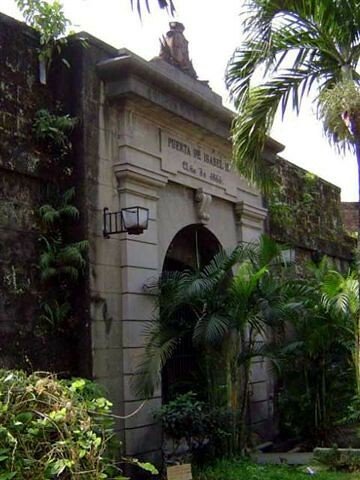 Puerta Real was the royal gate that was reserved for stately processions, and a section of Intramuros’ moss-covered walls. 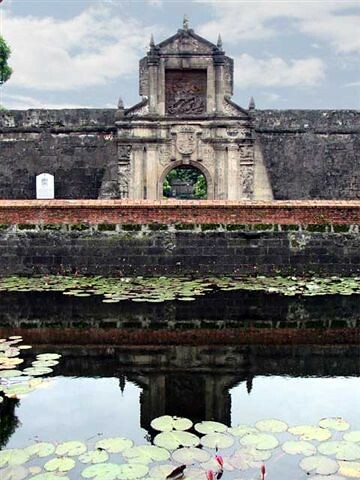 Designed and built by Jesuit priest Antonio Sedeno from 1586 to 1587, it is one of the oldest stone fortifications in Intramuros. 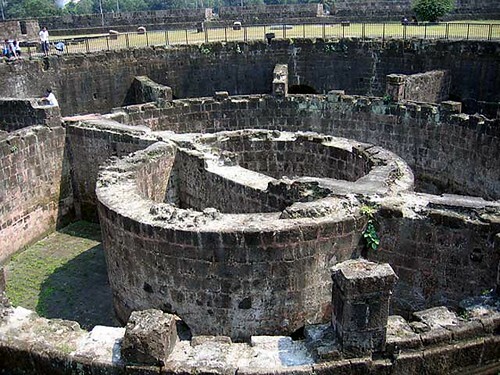 Began as a circular fort called Nuestra Senora de Guia. 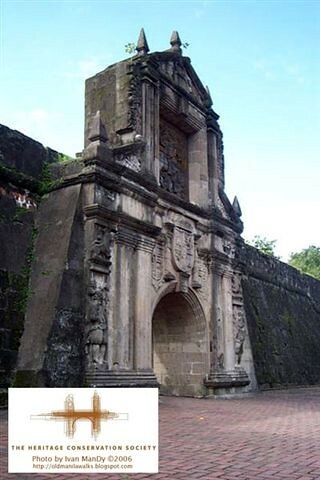 Renovated in 1593 to join the walls of the city. 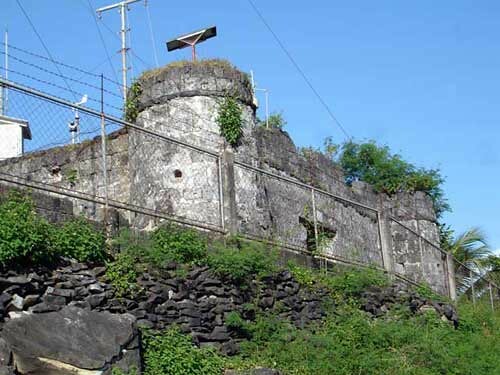 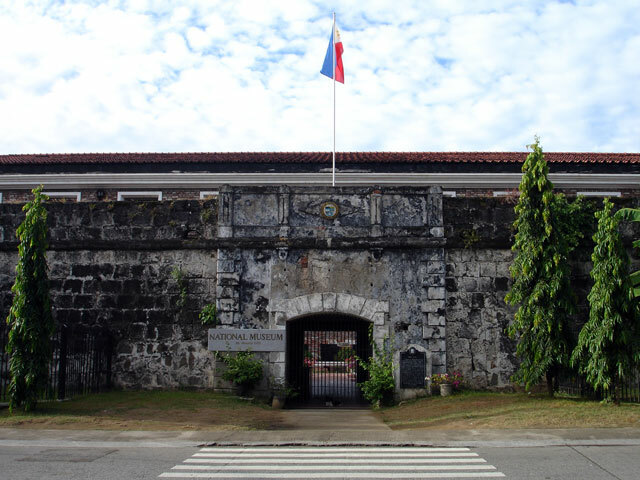 Fort fell in disrepair and, in 1644, construction began for a new baluarte which was completed between 1653 and 1663. 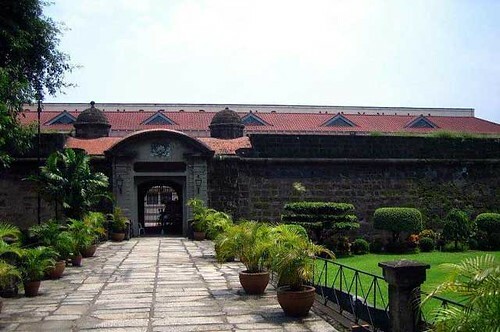 Resembling an ace of spades, it housed a foundry during the 18th century. 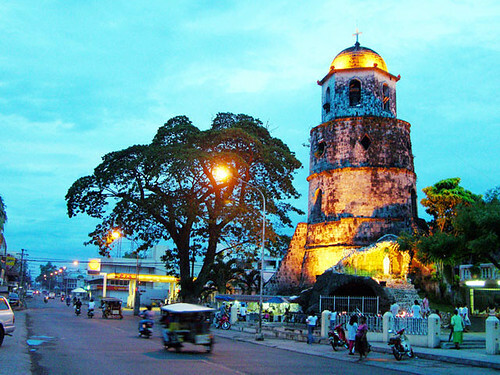 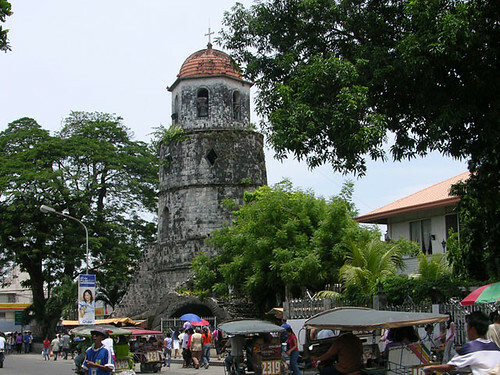 The Dumaguete Belfry along Perdices Street (formerly Alfonso XIII Street) was used as a watchtower during the 19th Century to warn the inhabitants (by ringing the bells) of the then small fishing village of impending raids by marauding pirates from the south of the islands. 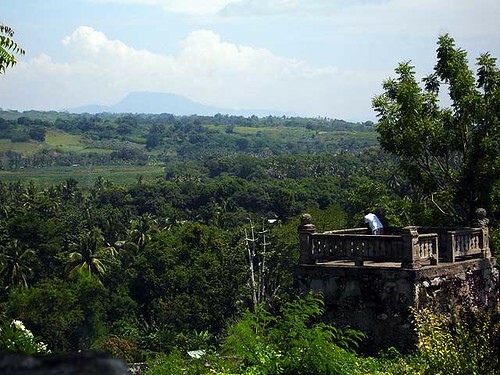 From its top can be seen the island of Mindanao on the horizon (now obscured by trees and buildings).These raids were so rampant in the area during those times that this little fishing village came to be known as “Dumagit” or “Dagit” which means “kidnap” in the local Cebuano language. 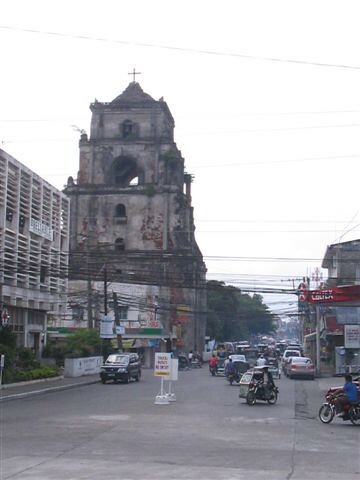 The Spanish authorities later adopted and restructured or “hispanized” the name to “Dumaguete”.